2019 Shows. Plans are in the works. See home page for some information regarding the shows. Plans for the 2018 show are ongoing. 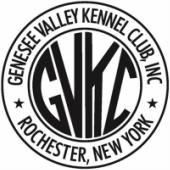 We will again be a combined cluster with TVKC (Tonawanda Valley Kennel Club) for a three day show. This year GVKC will have Friday, June 22 and Saturday, June 23 as their show days and TVKC will move to Sunday, June 24 as their day. We are going to have an increase in specialty clubs who will be supporting the show. There will be two Boxer club specialty shows with sweeps, two Cocker Spaniel club specialty shows with sweeps and regional show with sweeps for the Lowchen specialty club. Some of the other specialty clubs will be doing supported entries and some will do supported entries with sweeps. Look to the premium list for all of the details of the specialty clubs and trophies for the shows. There will be some differences in crating areas this year, especially in terms of electrical usage. There will be elite crating with electric in the Dome itself, premium crating with electric in the adjacent building, and free crating without electric in the adjacent building. We also, at the mandate of the AKC, have had to move Rally and Obedience to the adjacent building to allow for free crating and buffer zones for these performance events. The adjacent building does not have air conditioning. Those who did performance with GVKC in 2016 will remember this is how it was for that years show. The new special event that will be held on Saturday is a handling clinic with professional handlers. This clinic is open to adults and juniors at no cost. Also, the cluster supports the Meals on Wheels for dogs program in the Rochester area. Please consider bringing a food or money donation to the cluster to give to this very important part of the Meals on Wheels program. The entire cluster will be a National Owner Handler series show. There will be 4-6 month puppy Friday and special bred-by competition Saturday as well as special veteran competition on Sunday. Specialty clubs will be allowed to conduct raffles on Friday, GVKC will hold their raffle on Saturday and TVKC will hold their raffle on Sunday. So for those who love to contribute to raffles, there should be choices each day. There will be a heart clinic on Saturday, but at present time, there is no eye clinic scheduled for 2018. Looking forward to seeing exhibitors from last year and new exhibitors this year. As anyone involved in clubs who do put on shows, shows are a big time consuming and cost consuming enterprise and without support from the dog world exhibitors, have been slowly shut down over the years. Last year saw the discontinuation of the fall shows in Syracuse and TVKC changed from having a two day show to the one day with this cluster. We combined with TVKC (Tonawanda Valley Kennel Club) to form a 3 day cluster called WNY Twin Valley Cluster, "Paws under the Dome". Tonawanda took Friday and GVKC had Saturday and Sunday. The venue was the newly remodeled Dome Arena in Henrietta with air conditioning for the main show area and the un-air conditioned Merritt Hall for general, free grooming. Once again our club took on the task of a change in venue and overall, pulled off a great dog show weekend. 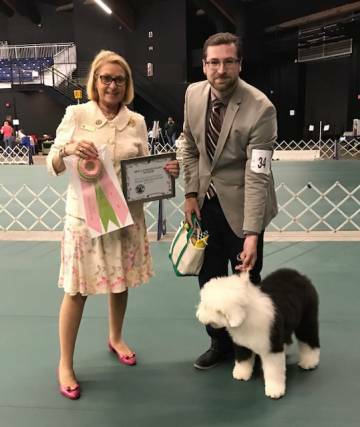 There were many special events including, Veteran competition, PeeWee junior handling, Meet the Breeds, 4-6 month puppy competition, Puppy competition, raffles, 50/50 raffles and 13 specialty breeds providing both designated specialties, supported entries and supported entries with sweeps. Once again, our club was faced with another venue move as the Ice Rink double booked the show weekend and we have to scramble to find another site. Fortunately, the Dome Arena in Henrietta had new ownership and they were willing to work with our club. Although the Dome itself was under major construction, we were able to squeeze into Merritt Hall. No air conditioning on a very hot weekend but with some large industrial fans, we were able to keep some air circulation going and complete the show weekend. After rain saturated the grounds at Rush, making them unusable, the club was able to secure an indoor site at Bill Gray's Ice Rink, MCC campus and not have to cancel the show.